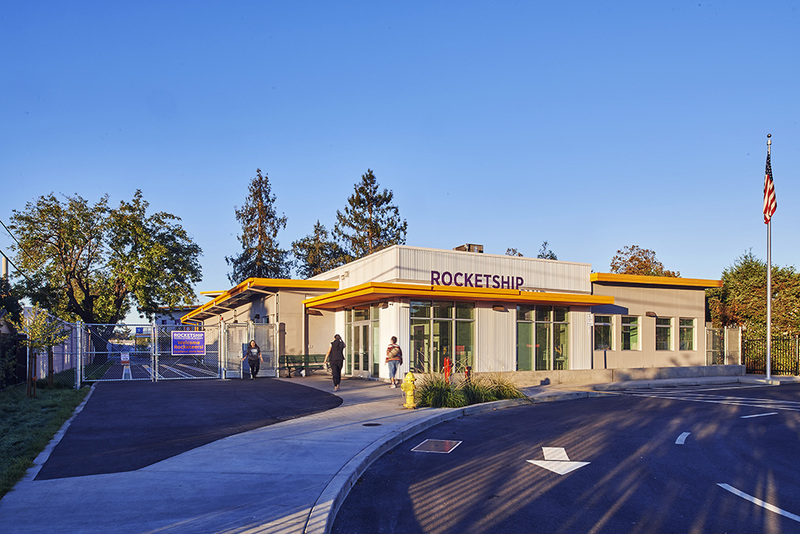 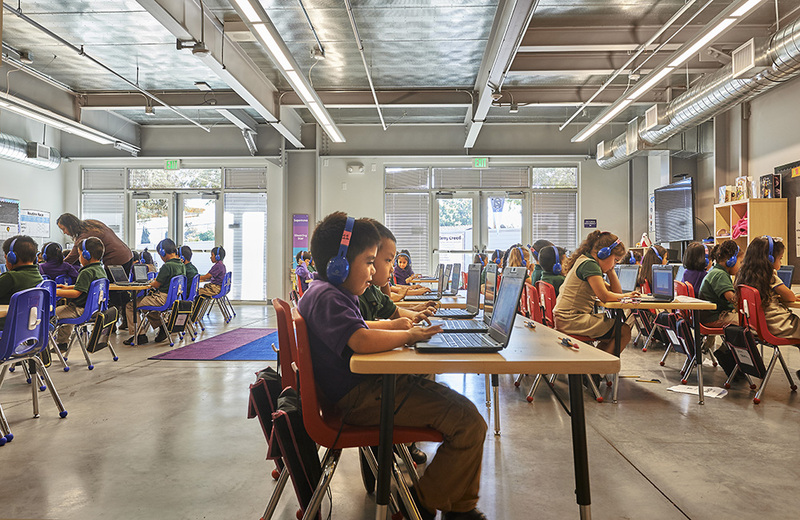 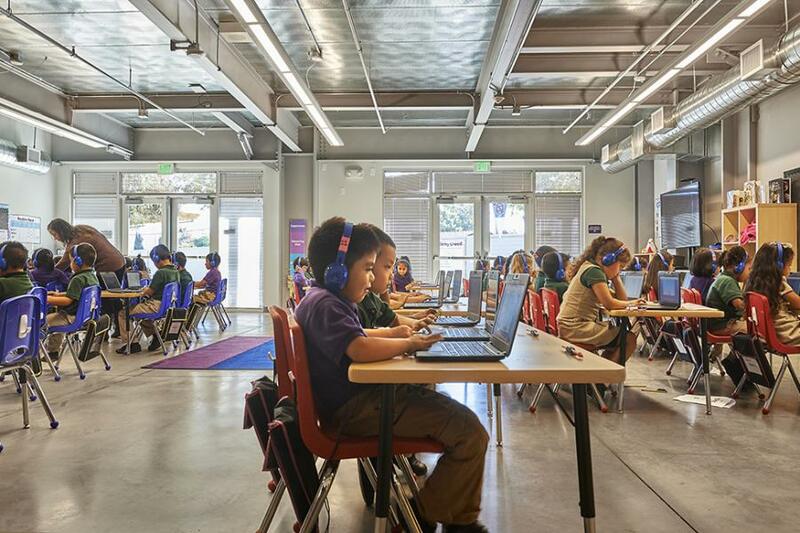 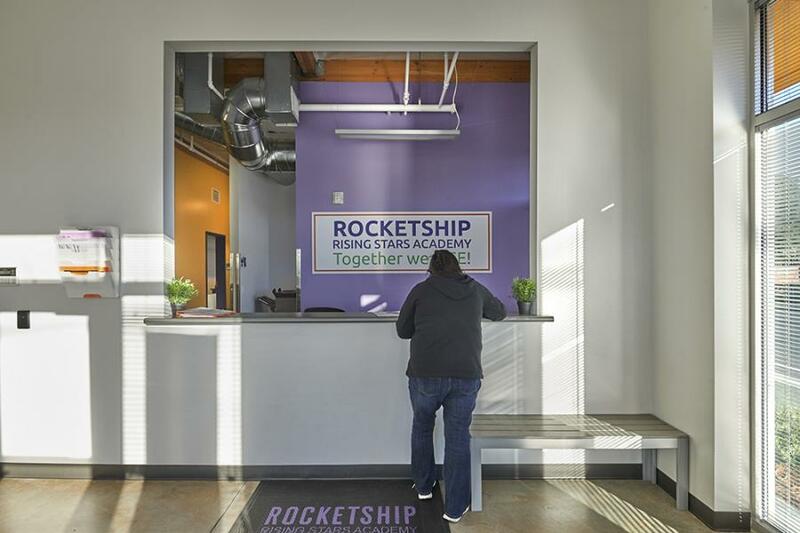 Rising Stars Academy is a new 450 student campus on a narrow commercial lot in South San Jose that backs up to a busy expressway. 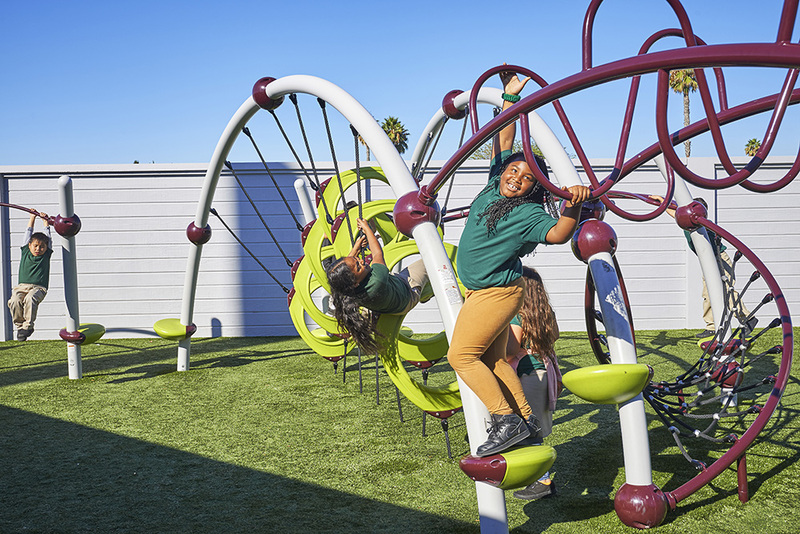 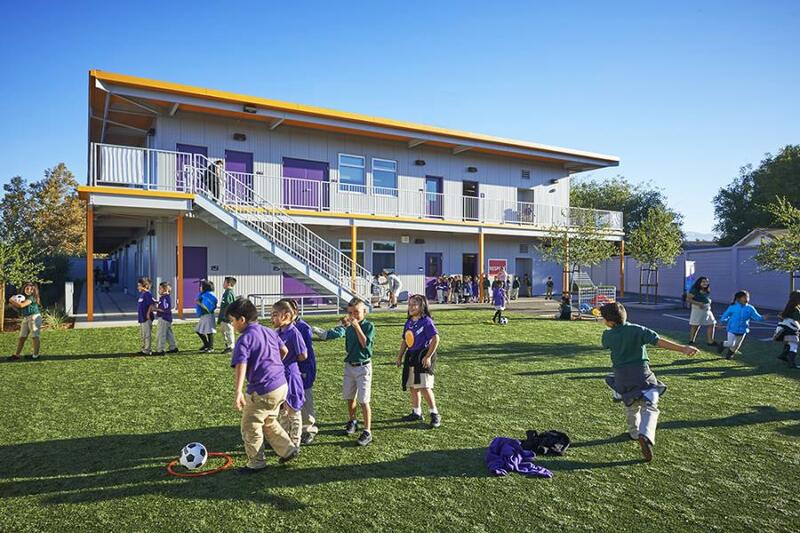 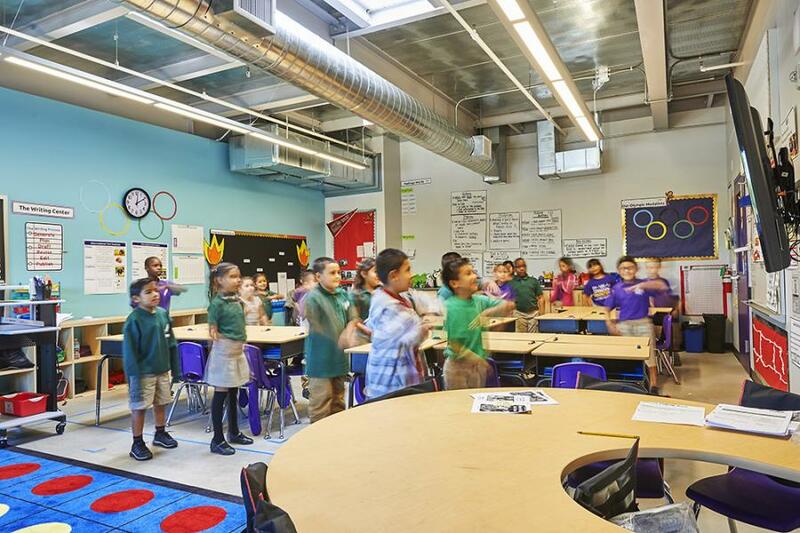 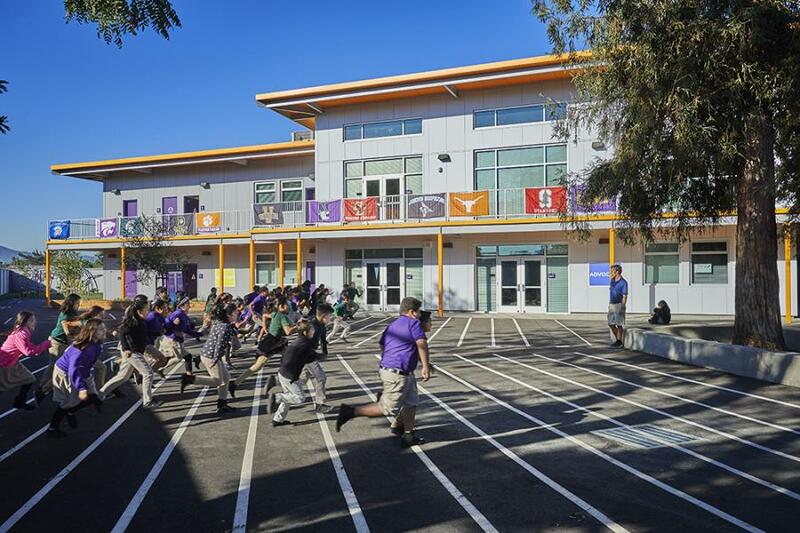 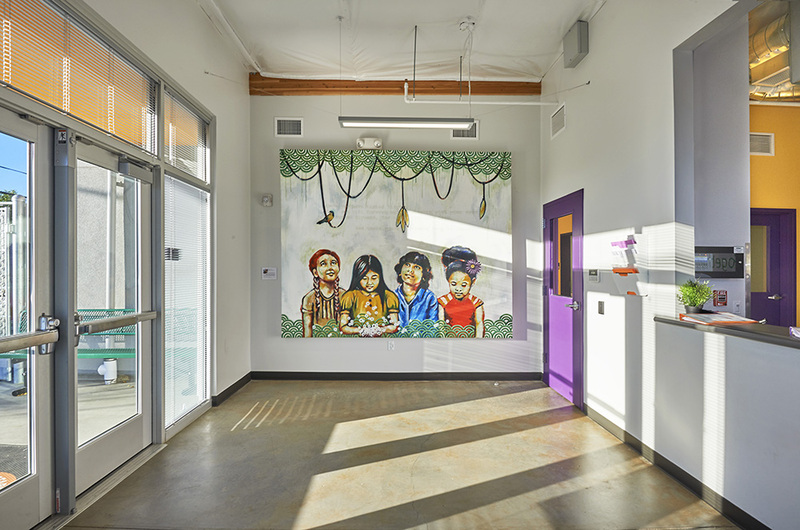 Due to the significant constraints of the site, the building area was broken into a two-story classroom building and a one-story administration/classroom building that provides protection to a small but comfortable play area and courtyard. The courtyard was designed around four large existing trees, which shade and provide a connection to nature in the center of the campus. 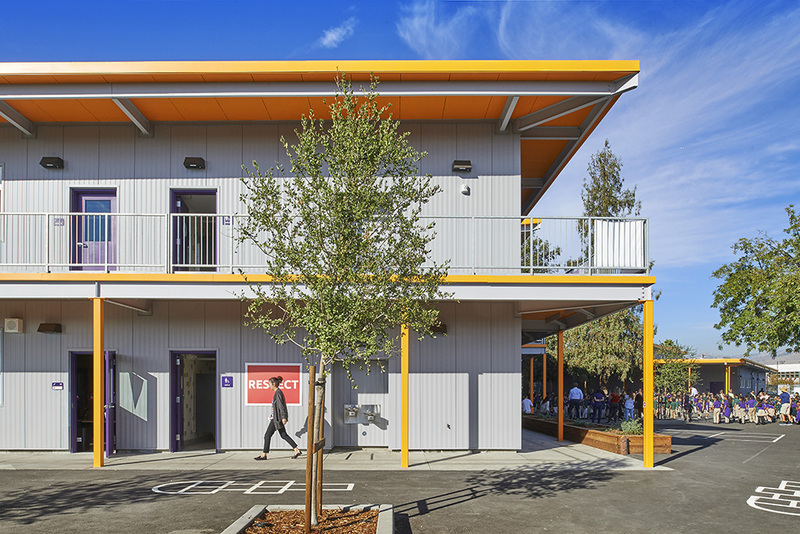 The two-story classroom building protects the site from the road noise and features an exposed steel structure and an insulated metal panel system that is also exposed to the interior of the rooms. 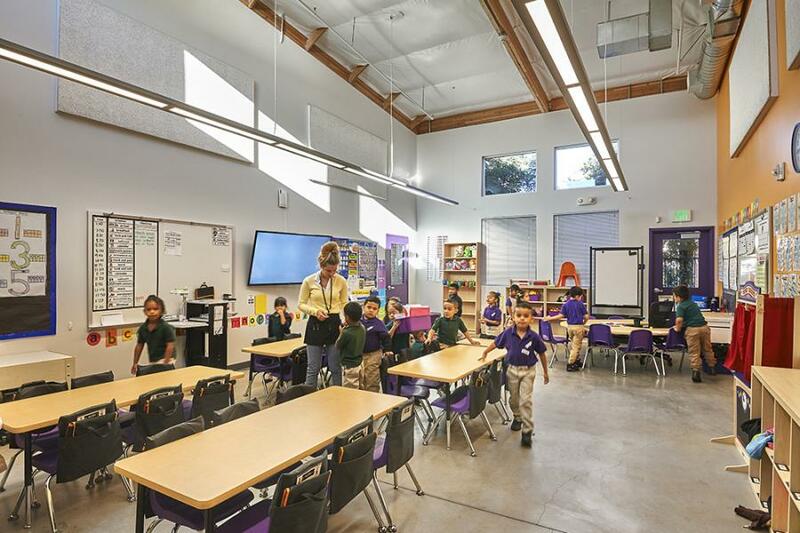 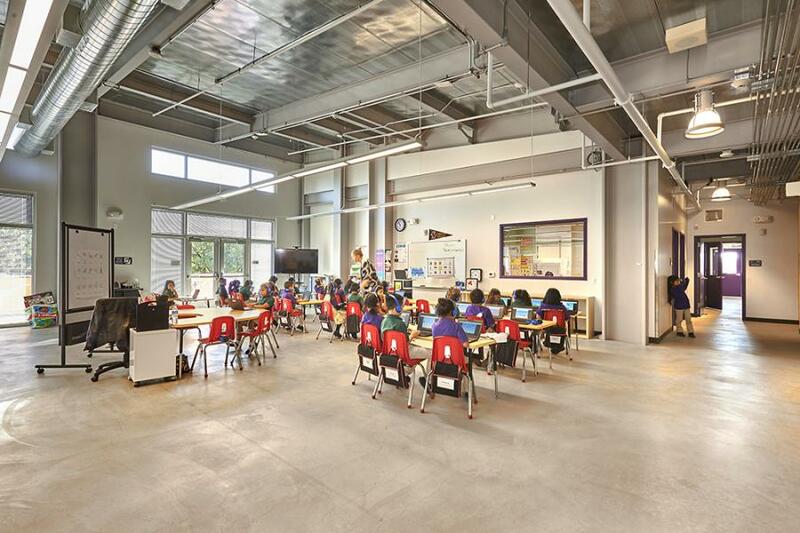 The one-story administration/classroom building is wood panelized construction and features high ceilings with extensive skylights and clerestories to provide ample natural lighting.